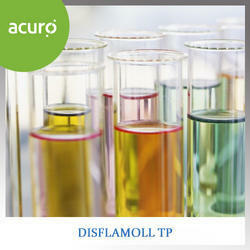 Product description:Disflamoll® TP is a low volatility flame retardant. Based on its high phosphorus content it imparts good flame retardance to a large number of polymers.Applications:Dis flamoll® TP is used as a plasticizer in the production of cellulose acetate films. Other fields of application where Disflamoll® TP may be used as a fire retardant include films, sheetings, coatings based on nitrocellulose, phenolicresins, ABS/PC and PPE/HIPS compounds.Storage:If stored correctly, the product has a minimum shelf life of 24 months.The product is prone to caking from 40°C upwards. 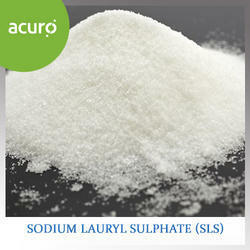 Sodium Lauryl Sulphate (SLS) is a synthetic detergent (cleaning agent) and surfactant (which means it makes bubbles). 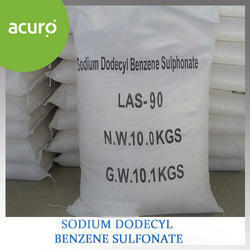 It is used in industrial products such as car wash soap, engine degreasers and floor cleaners. SLS is also an ingredient in a wide range of personal care products such as soaps, shampoos and toothpastes. It is a white or cream colored crystal, flake, or powder primarily used as a surfactant, emulsifier, foamer, dispersant, or wetting agent in many industries, such as cleaning and personal care. Sodium lauryl sulfate is used in a range of household and car cleaning products due to its ability to produce foam, cut through grease, and suspend soil particles so that they can easily be washed away. Sodium lauryl sulfate isn't just limited to cleaning uses, it can also be found in a multitude of other industries. It's used in personal care products, such as toothpaste, hand soap, shaving cream, facial cleansers, body washes, shampoos, conditioners, and hair coloring products. In addition, it is even used in pet care products, like pet shampoos. Not only that, but SLS has even been used as a food additive! The Descalants from our line-up have been finding various imminent applications that come to satisfy the demands of the industry at various junctions. The Descalants go sold at highly reasonable pricing schemes. Our outputs have found great industrial utility in the past few years, and have come to see great industrial demands across the spectrums. 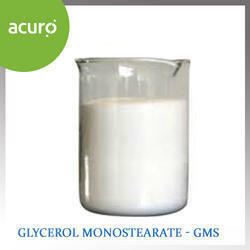 Glycerol monostearate, commonly known as GMS, is an organic molecule used as an emulsifier.GMS is a colorless, odorless, and sweet-tasting flaky powder that is hygroscopic. 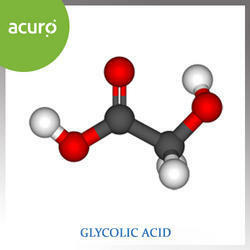 It is a glycerol ester of stearic acid. It occurs naturally in the body as a by-product of the breakdown of fats, and is also found in fatty foods.GMS is a food additive used as a thickening, emulsifying, anti-caking, and preservative agent; an emulsifying agent for oils, waxes, and solvents; a protective coating for hygroscopic powders; a solidifier and control release agent in pharmaceuticals; and a resin lubricant. It is also used in cosmetics and hair care products.GMS is largely used in baking preparations to add "body" to the food. It is responsible for giving ice cream andwhipped cream its smooth texture. As an emulsifier, texture-improver, lubricant, processing aid, clump preventer and appearance improver in food products such as breads, biscuits, icecreams, confectionary, noodles, pasta, coffee whitener, chewing gum, extruded snacks and foods, breakfast cereals, fat spreads, meat products, peanut butter etc. As an emulsifier in cosmetics. Glycolic acid is used in the textile industry as a dyeing and tanning agent,in food processing as a flavoring agent and as a preservative, and in the pharmaceutical industry as a skin care agent. It is also used in adhesives and plastics.Glycolic acid is often included into emulsion polymers, solvents and additives for ink and paint in order to improve flow properties and impart gloss.Glycolic acid is also a useful intermediate for organic synthesis, in a range of reactions including: oxidation-reduction, esterification and long chain polymerization. We are engaged in the production of high quality of liquid ammonia, which can be used in different forms in various industries. Available at affordable price, our products succeed in fulfilling the requirements of our esteemed clients. 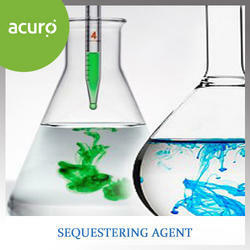 Our product is known for its accurate composition and purity. For packaging, we use high standard of packing material in order to avoid any kind of leakage and breakage during delivery.Strong co-operation of our team has helped us to fabricate the unique quality liquid ammonia that is applicable in varied industries. 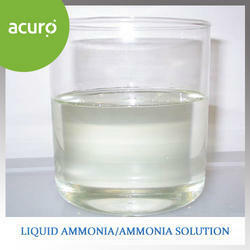 To satisfy the maximum gratification of our clients, we always offer accurate formulated liquid ammonia. These are packed using premium packaging scheme to make the leakage free delivery. 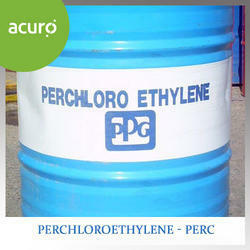 Perchloroethylene (also called PERC) is a man-made chemical which colorless, nonflammable liquid. The largest user of PERC is the dry cleaning industry. It accounts for 80% to 85% of all dry cleaning fluid used. Textile mills, chlorofluorocarbon producers, vapor degreasing and metal cleaning operations, and makers of rubber coatings also use PERC. It can be added to aerosol formulations, solvent soaps, printing inks, adhesives, sealants, polishes, lubricants, and silicones. Typewriter correction fluid and shoe polish are among the consumer products that can contain PERC. Perchloroethylene evaporates when exposed to air. It dissolves only slightly when mixed with water. 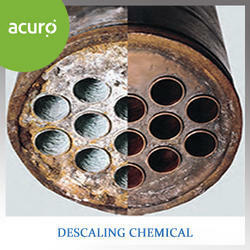 It is also used for degreasing metal parts and in manufacturing other chemicals. Tetrachloroethene is found in consumer products, including some paint and spot removers, water repellents, brake and wood cleaners, glues, and suede protectors. Other names for tetrachloroethene include PERC, tetrachloroethylene, perchloroethylene, and PCE.Perchloroethylene has become the most widely used dry cleaning solvent in the world, essentially because of its efficient solvency, ease of recycling, and the available technology that allows for safe handling. Chemitex 600 is an organo phosphonate with multifunctional properties like sequestration, deflocculation, threshold inhibition and hydrolytic stability, as a single active ingredient. Because of the combination of these properties CHEMITEX-600 has a wide range of applications. One of the most important applications is in textile as sequestering agent for various steps of textile processing. 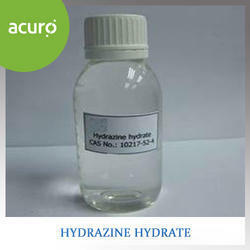 It is used as a strong chelating agent for metal ions like Ca, Mg & Fe in water treatment , textile applications. They show efficient inhibition for CaCO3 & CaSO4 alone or in combination with low molecular weight polymers. They show efficiency in protecting metal corrosion. 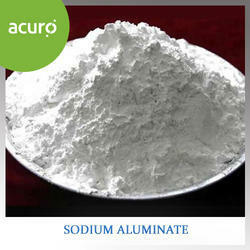 Sodium Aluminates is a high quality, consistent, high basic solutions of aluminum. Due to the high pH of the product, many applications for sodium aluminate include co-coagulation with a more conventional coagulant. It is especially useful when used in formations that are known to have calcium sensitivity. A 44.7 percent aqueous solution of sodium bromide has a density of 12.4 pounds per gallon and a crystallization temperature (LCTD) of 41°F (5°C). A pure sodium bromide (NaBr) brine fluid is often selected when the chloride ion is not desirable and when sodium is preferred over calcium. It is often used in situations where formation waters contain high levels of sulfate or carbonate that may precipitate with the calcium ion.on, work-over and packer fluid in oilfield applications.• When used with an oxidizer, such as sodium hypochlorite, sodium bromide is an excellent biocide. 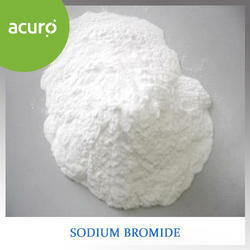 It has wide industrial applications, including water treatment and pulp & paper manufacturing.• Sodium bromide is used in reducing mercury levels in power plant emissions.• Other applications for sodium bromide also include photography and medicines. 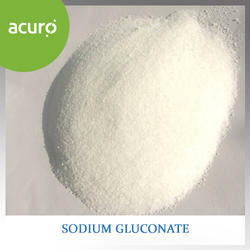 Sodium Gluconate is used in cleaning formulations across several applications. Glucote is used in detergent formulations both in industry and home/personal care. Sodium Gluconate is used because of its excellent chelating properties.This makes is desirable in areas where hard water is used. In most detergent formulations , gluconate is used as a builder,chelator, anti-redepositiond agent and corrosion inhibitor. GLuconate may be employed in food equipment cleaners for a variety of food processing industries.Gluconate provides excellent sequestration of hard water ions in alkalines detergents, which enhances the ability of the cleaner to emulsify or saponify typical food industry soils. In situations where food industry equipment is constructed of non-ferrous metals, such as copper and aluminium , deposits can be removed using a blend of organic acids. Because gluconic acid has a low order or corrossiveness in comparisons with other organic acids,it is an important ingredient in protecting the base metal when removing milkstone and beerstone. Sodium monofluorophosphate, commonly abbreviated MFP, is the inorganic compound with the formula Na2PO3F. Typical for a salt, MFP is odourless, colourless, and water-soluble. This salt is an ingredient in some toothpastes. MFP is best known as an ingredient in toothpastes. It is claimed to protect tooth enamel from attack by bacteria that cause dental caries (cavities)MFP is also used in some medications for the treatment of osteoporosis Other applications include cleansing agent, disinfectant, metal surface treatment and fluorination of drinking water. 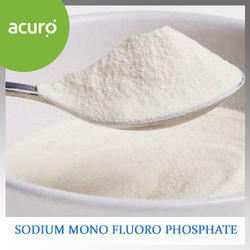 Sodium monofluorophosphate is also used sometimes as a medication the treatment of osteoporosis. It is a white powder melting at 625 C; easily soluble in water. The solid can be directly charged to system eliminating the cost of system reduces the leave of scaling solids and acts as anti – descalant. Sulphamic Acid is super efficient descaling agent and is used for cleaning a variety of industrial equipment and domestic appliances. Chlorine gas in water form HOCL which reacts with Sulphamic Acid form N-Chloro-Sulphamic Acid to N-ChloroSufamic Acid more stable and yet has active chlorine, Because of this, Sulphamic Acid is used for stabilizing chlorine in swimming pools and cooling towers. Metal sulphamate electrolytes values for their high solubility cadmium, cobalt nickle, lead silver and radium sulphamte deposits are bright and dense. 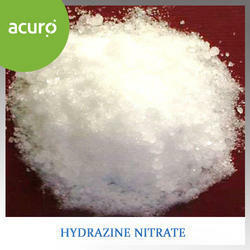 Lead sulphamate is used in refining lead when a high quality is desired. 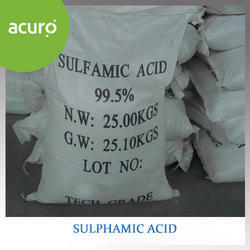 Sulphamic acid is used for sulphation and sulphamation of many organic compounds. Sulphation of aklyl pheno-ethylen oxide condensation products 9for detergents and sulphation of ethoxylated phenol-formaldehyde resins is preferable with Sulphamic Acid. Stronger agents cause unwanted ring sulphomation. Sulphamic acid finds application in the plastic wherever a curing agents is required which does not have the disadvantage of inorganic acids and which acts faster than organic acids. 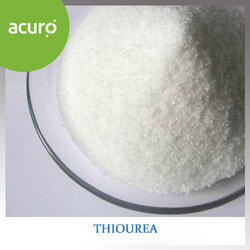 Thiourea has a wide range of uses, such as for producing and modifying textile and dyeing auxiliaries, in the production and modification of synthetic resins, in image reproduction, in the production of pharmaceuticals (sulfathiazoles, thiouracils, tetramisole and cephalosporins), in the production of industrial cleaning agents (e.g., for photographic tanks and metal surfaces in general), for engraving metal surfaces,as an isomerization catalyst in the conversion of maleic to fumaric acid, in copper refining electrolysis, in electroplating (e.g., of copper) and as an antioxidant (e.g., in biochemistry). Other uses are as a vulcanization accelerator, an additive for slurry explosives, as a viscosity stabilizer for polymer solutions (e.g., in drilling muds) and as a mobility buffer in petroleum extraction. The removal of mercury from wastewater by chlorine–alkali electrolysis and gold and silver extraction from minerals are also uses of economic importance . 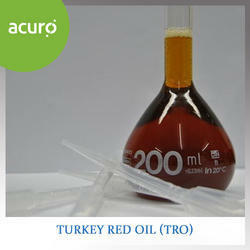 Turkey Red Oil is synthesized by adding sulfuric acid to castor oil at our advanced processing unit. It is processed by making use of the utmost quality chemical substances using sophisticated techniques under the supervision of our skilled professionals. We offer this Turkey Red Oil in different packaging options, that is known as the first synthetic detergent among the clients. Dyes & Intermediates:It is use as anti-foaming purpose.Paper & Sugar industry:It is use as defoaming agent & An Emulsifier.Soap & Cosmetics Industry:It protects the skin with standing the oilish content irrespective of any tropic condition.Lubricant Industry:As An Additive.Pesticide industry :As an emulsifier Leather & rubber Industry:It use as a softening & wetting agent.Paints and inks Industry:As a lubricant additive.Pigment & Colour industries:It enhances the strength maintaining.Alcohol:It is used as anti-foaming & fermentation. Glycerol monostearate, commonly known as GMS, is an organic molecule used as an emulsifier.GMS is a colorless, odorless, and sweet-tasting flaky powder that is hygroscopic. It is a glycerol ester of stearic acid. It occurs naturally in the body as a by-product of the breakdown of fats, and is also found in fatty foods.GMS is a food additive used as a thickening, emulsifying, anti-caking, and preservative agent; an emulsifying agent for oils, waxes, and solvents; a protective coating for hygroscopic powders; a solidifier and control release agent in pharmaceuticals; and a resin lubricant. It is also used in cosmetics and hair care products.GMS is largely used in baking preparations to add "body" to the food. It is responsible for giving ice cream and whipped cream its smooth texture. 1.As an emulsifier, texture-improver, lubricant, processing aid, clump preventer and appearance improver in food products such as breads, biscuits, ice-creams, confectionery, noodles, pasta, coffee whitener, chewing gum, extruded snacks and foods, breakfast cereals, fat spreads, meat products, peanut butter etc. 2.As a mould release agent and shining agent is PVC. EVA and other polymers processing. 3.As an emulsifier in cosmetics. It is used as flux for soldering and welding effective to aluminum and magnesium, surface treating agent of metals and in recovery of rare metals (\, Neptunium, etc.). Flux for soldering and welding effective to aluminum and magnesium. Surface treating agent of metals. Recovery of rare metals (, Neptunium, etc. ).